Well this weekend I finally did something I’ve been wanting to do for a while. Get the Serial #’s off two vintage Singer’s I have. One of them was my Aunt’s and I know she made some beautiful things with it. I even have a few of the cobbler aprons that she made with it. Isn’t it beautiful! The light is not attached but I found a small pill bottle in the front pocket door of the machine cabinet marked “screws for light” by my Aunt. I couldn’t find any information about this machine from the serial # search on Singer’s sight so I e-mailed them and they got back to me. It seems that this machine was manufactured in 1943 in Wittenberge, Germany. I can’t find a model # on the machine so they said that if I send them a picture of the machine, they will help me find a manual for it. 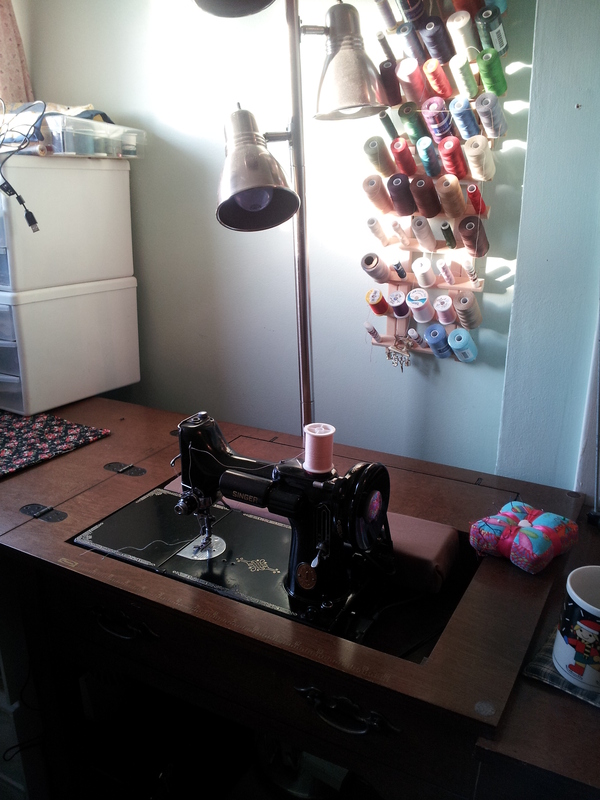 Here is a machine I got from someone whose mom no longer sewed and nobody in the family wanted the machine. 😦 So, of course, I gave it a home. 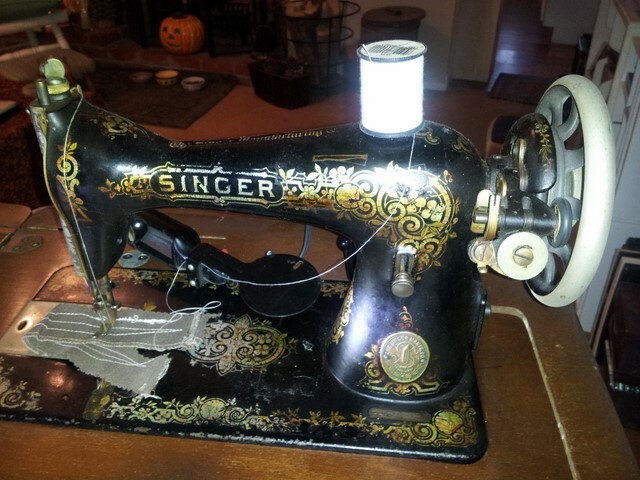 This one I was able to find on Singer’s website and it seems it was manufactured in 1952 here in the U.S.
And here is my Grandmother’s White sewing machine. I have used this machine in the past when I was in High School. This one is harder to find out info on. There is no serial # on it to use in a search. All three of these machines need to get serviced before they can be used so 2016 will be the year I will take each of them in for some TLC and get them humming again. Since their power cords are obviously very old, I will not plug them in myself and try them out but will leave that to the professional with more knowledge than I have. I can’t wait to get to these beauties back into working order so they can do what they were intended to do. But in the meantime, I will use my Featherweight which was born in September 1949 — one month before me. Her name is Emma. She sews with the most perfect little stitch. In fact, I have been using her for a few projects this past week. 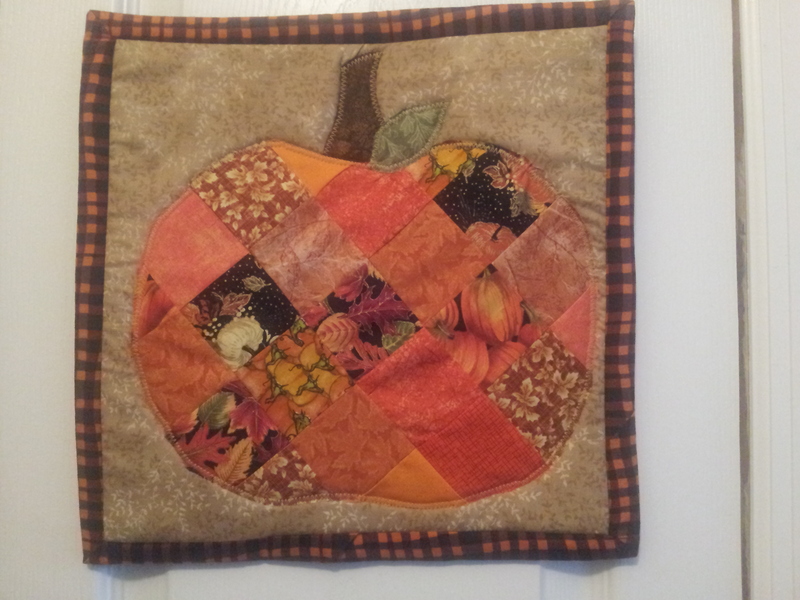 A cute little Patchwork Pumpkin wallhanging for above my desk at work. I also made a full tablerunner from this pattern too. I still need to take a picture of that. 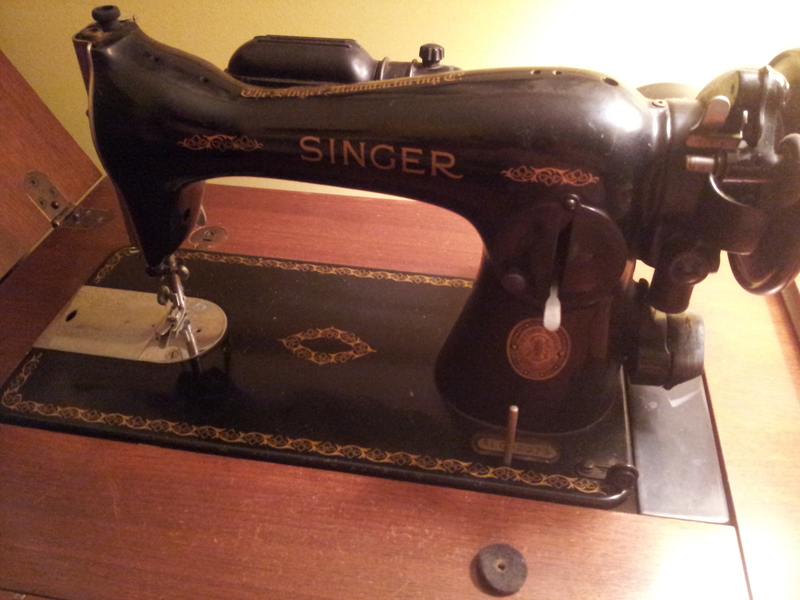 While I also love my newer model sewing machines, these vintage machines just are just amazing to work on. They are workhorses and made to last and soon I will have these three making wonderful things again. Bye for now. Have a great week. 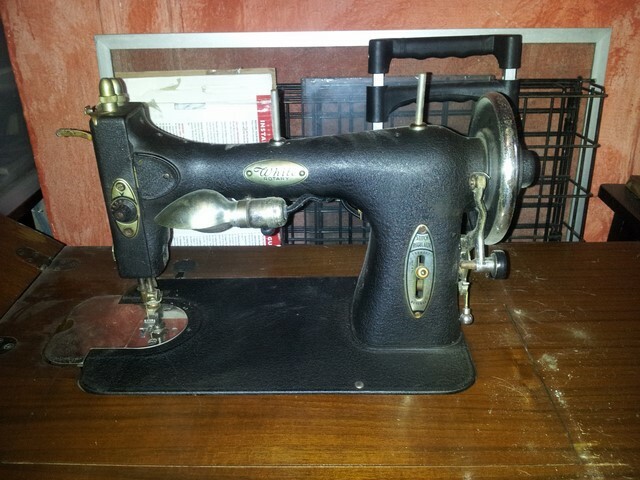 This entry was posted in Uncategorized and tagged Vintage Sewing Machines. Bookmark the permalink.